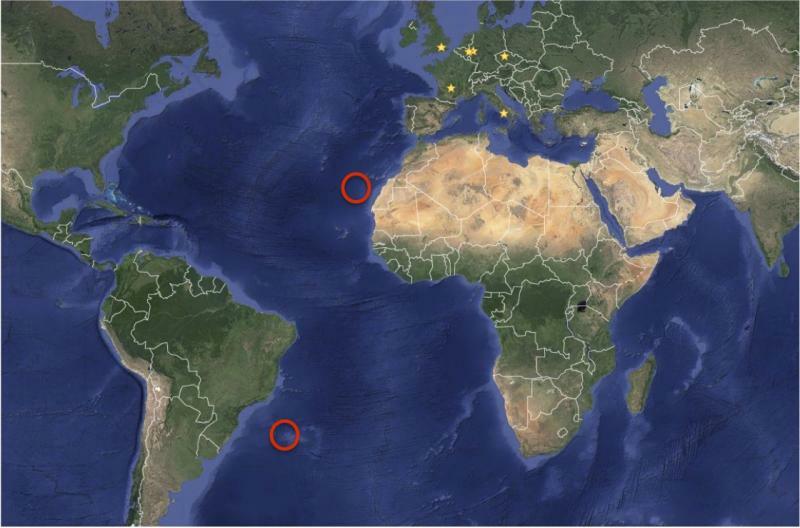 The project has two dedicated cruises: A UK expedition (JC142) sailed during late 2016 to the Tropic Seamount, north-east Atlantic, on the RRS James Cook. 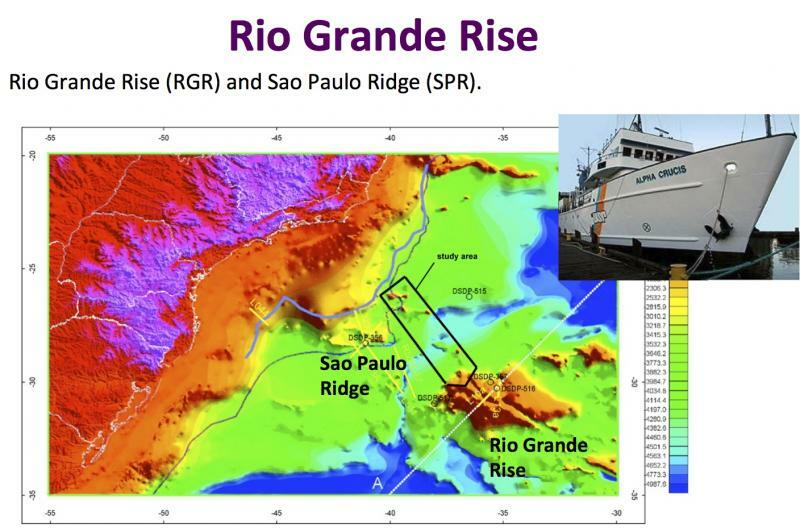 We have further cruise scheduled for 2017 and 2018 by the University of São Paulo focused on the Rio Grande Rise, south-west Atlantic Ocean. 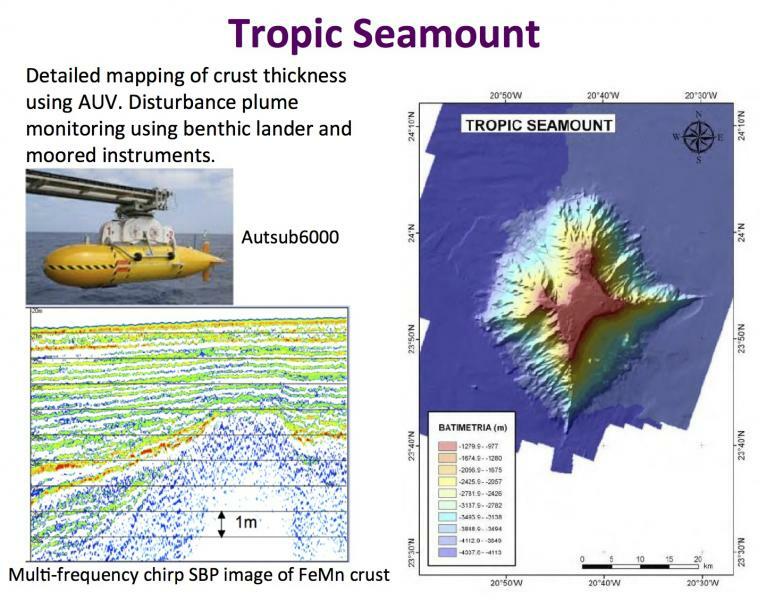 MarineE-tech will deploy robotic underwater technology including the use of the 6500m depth rated ISIS remotely operated vehicle to sample over 100 locations of FeMn crusts and the 6000m rated AUV Autosub_6000 to image the lateral extent and thickness of crusts across the seamounts.